Hotel events manager, Madam Annette, walks deliberately between rows of round tables, head sweeping side-to-side not missing a single detail – table numbers, floral centerpieces, crisp folded linen, gleaming cutlery, and the waiters in their smart uniforms. The head table takes longer to inspect. She scans a list of names on her clipboard while simultaneously adjusting matching place cards one centimeter away from each gold-rimmed plate. The backdrop gets her attention next. She gives it a brisk tug to make sure it is safely attached, then moves center stage and motions to an unseen someone in a booth across. The lights immediately lower to a warm glow, the air-conditioning settles to a comfortable 20-to-22 degrees Centigrade, and instrumental background music comes on. Satisfied, she walks back down, pauses by a side door, and nods. The ballroom doors open. It’s show time! Guests arrive in groups and soon the ballroom is filled with laughter and conversation. At the back-of-the-house there’s organized chaos as the kitchen staff expertly assemble the food which the waiters pick up in quick succession with their trays. At the hallway, the service manager hollers and claps his hands for them to speed up. Then he fluidly changes from stern expression to warm smile as he opens the door back to the ballroom. At the audio room, the atmosphere is relaxed, at least until the complicated part of the program where music and lighting sequences need to match the stage cues exactly. Think of a time when you’ve attended a function in a hotel. Do you look back to good conversation at the table, the guest speaker’s remarks, program highlights, and the fun dancing? That is proof of a well-planned event. 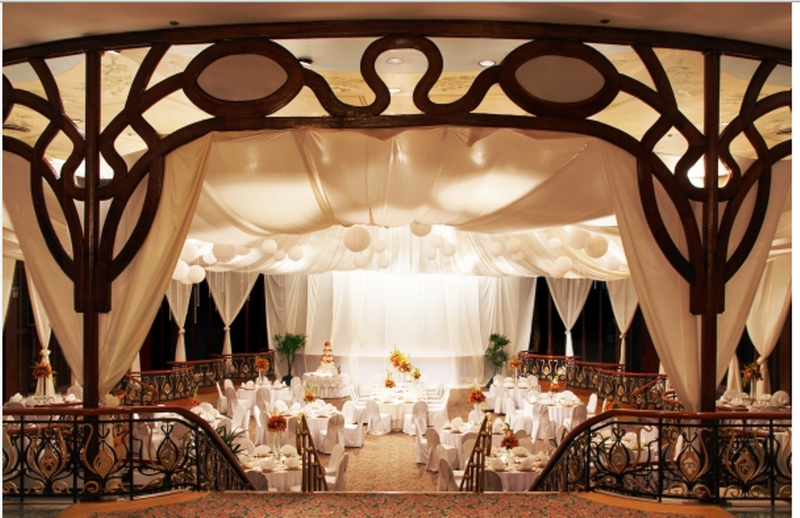 The role of hotel event planners is to provide the space for people’s lives to unfold, in style. The client and their guests are the main characters. The hotel whips up the setting, lights, music, props, camera crew, food, and beverage, without anyone noticing. The guests should be fully engaged with each other as their food and drinks are served and cleared unobtrusively. They should not be distracted by music drowning their conversation, staff obstructing their view of the stage, or uncomfortable room temperature limiting their dancing. This invisible direction is orchestrated by hotel event planners, and it begins long before the event. Even with the most meticulous planning, Murphy’s Law can happen. Imagine these scenarios. The exquisite three-tiered wedding cake with handmade favors in pretty light blue ribbons is being wheeled in … but this wedding’s color motif is peach! The guest of honor steps onto the podium to deliver his much awaited speech … but only the top of his head is visible and it is 6 inches beneath the microphone! It’s open bar and drinks are flowing. Pepsi is flying from bar to tables … but it’s Coca Cola who is hosting the event! They make amusing anecdotes but when they’re happening, you just want to yell “Cut!” so the scene freezes and you can correct the mistake. This particular event is smoothly wrapping up. Laughter continues as guests move out of the ballroom in groups, some swaying slightly; whether from the music or the alcohol is hard to tell. Madam Annette appears from nowhere to send the client off. With seemingly random questions between handshakes and smiles, she has expertly gauged that the client is satisfied. The ballroom doors close. Activity immediately erupts as waiters start stripping off tablecloths, rolling round tables out, and bringing in rectangular ones. Time to set up for the next show.